Currently there are 220 Active listings or Available Cibolo Texas Homes for Sale. The average list price is $194,767.00. There are 18 pending sales and 7 homes that expired on the market in November. The current Cumulative Days on Market for Active Cibolo Texas homes for sale is 148 days. Cibolo Texas had a total of 20 Sold Homes in November, with an average square footage of 1985. The average list price of the Cibolo Texas homes for sale for the month of November was $167,155.00 with the actual average sold price being $163,816.00. This gives a percentage of List Price to Sold Price of a whopping 98.0% which tells you that pricing for homes listed for sale and that sold in Cibolo Texas for the month of November were fairly consistent with the average days on market being only 96 days! When we give you the list price versus sold price percentage and that number is over 95%, that gives you a pretty clear indication that homes for Cibolo are priced right for the market. Although it's a buyer's market, homes are consistently priced right for this Greater San Antonio Texas area. Make sure that when you are looking to buy a Cibolo Texas home for sale, that your Realtor® provides you with the area comparative market analysis so that you can prepare an offer successfully! Trending the Cibolo Texas Real Estate market from November of 2010 to November of 2011 showed that in November of 2010 the Average List Price of Cibolo Texas homes for sale one year ago was $169,438.00 with the Average Sold Price being $165,671.00 with days on market being 127. Pulling the numbers for the trending report vary slightly from the full market report above but not by much. 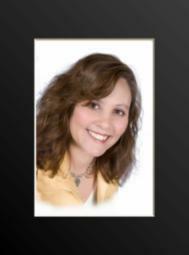 Sold homes in Cibolo Texas for November 2011 shows 22 at a sold price of $175,471.00. When you compare the Sold Price of November 2010 as compared to the Sold Price in 2011 it shows an upward trending of $9800.00 and as anyone knows, an increase in sales price and number of homes sold is good news for the Cibolo Texas Real Estate Market. That tells you that even with the news of the economy, the Cibolo Texas Real Estate Market is still holding relatively stable! I will continue monitoring the Cibolo Texas Real Estate market from month to month. With this data we can keep our fingers on the pulse of the Cibolo Texas Real Estate market! This months spotlighted Cibolo Texas neighborhood spotlight is Bentwood Ranch. Bentwood Ranch is a relatively new subdivision being only about 6 years old in Cibolo Texas. One could consider the neighborhood semi established neighborhood however, there are still new homes being built in the neighborhood, (a kind of mix of new homes for sale and newer homes for sale). If you are looking to buy a home in Bentwood Ranch, you have the choice of having pre-owned construction or New Home Construction from two major San Antonio New Home Builders DR Horton and Ryland. The neighborhood has amenities such as a pool, park and playground area and a sports court. Currently there are 18 homes available for sale in Bentwood Ranch. One and two story homes are available and vary in size from a little over 1500 square feet to a bit over 4000 square feet. Prices for available homes for sale in the Bentwood Ranch neighborhood range from the mid $150s to the mid $330s. Bentwood Ranch is located in the acclaimed Schertz-Cibolo-Universal City Independent School District and is close to Military Bases such as Randolph Air Force Base and FT Sam Houston (Joint Base San Antonio), TX and very convenient to shopping. You can get to Bentwood Ranch by traveling on I-35 and exiting off on FM 3009 or Roy Richard Drive, take your first right, take a left on Deer Creek Blvd to Cibolo Vally Rd and take a Right and travel to Bentwood Ranch Drive. Taking a right or left will take you to different sections of Bentwood Ranch as it is a large subdivision with different sections. If you are interested in buying or selling a home in the Bentwood Ranch Neighborhood or any area in Cibolo Texas, feel free to give me, Brenda Mullen your San Antonio Texas area Realtor® a call so I can show you what I can do for you!